Suitable for surface mounting on wall or ceiling for both interior and exterior use. Quick Fix Bracket is screw fixed onto mounting surface by 4 oblong holes (4.5mm x 10mm). Mains connection via 6x2x2.5mm² terminal block. ‘Light Box’ mechanically and electrically auto-connected to the Quick Fix Bracket. For loop wiring there are two Ø20mm cable entry holes on the Quick Fix Bracket. 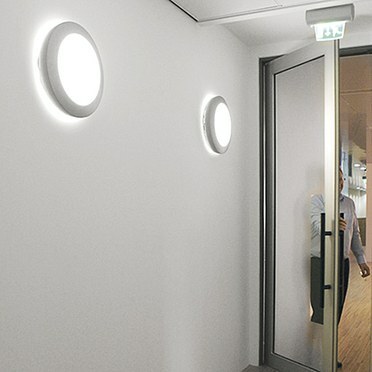 Unique and distinctive circular luminaire for 1000lm LED, with an acute angular steel bezel ‘floating halo’. 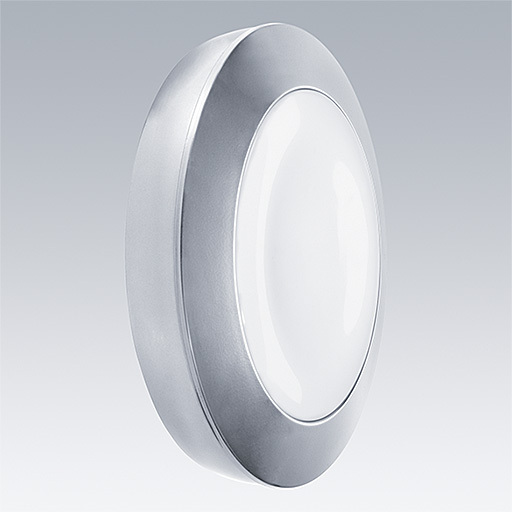 Concave opal polycarbonate diffuser mounted on a die-cast aluminium body, with lamp and electronic, integral emergency gear, connected to Quick Fix Bracket.